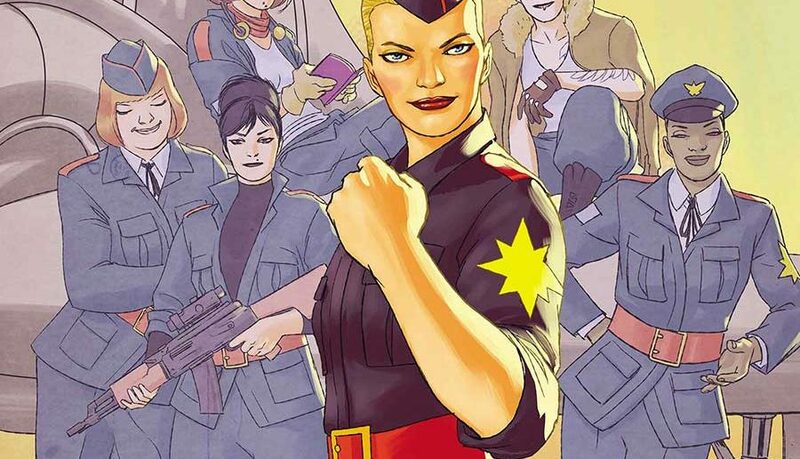 Captain Marvel and the Carol Corps takes to the skies over the Warzones! The are the elite. They are the best of the best. And this June they are rocketing into Secret Wars in CAPTAIN MARVEL AND THE CAROL CORPS #1 – an all-new Secret Wars series! Blockbuster Captain Marvel creators Kelly Sue Deconnick and David Lopez join Marvel newcomer Kelly Thompson for a high-flying tour of Battleworld from the inside of a cockpit! Welcome to Hala Field, where if you’ve got the guts – if you’ve got the moxie – you just might make it as a member of the Carol Corps. The chosen few, the proud, the brightest pilots of all – the Carol Corps defend Hala Field from the worst Battleworld has to offer. Face front and stand at attention True Believers, because the Corps needs people like you! So put on your uniform and get ready for the most high-flying, action packed Captain Marvel series fans have been clamoring for. 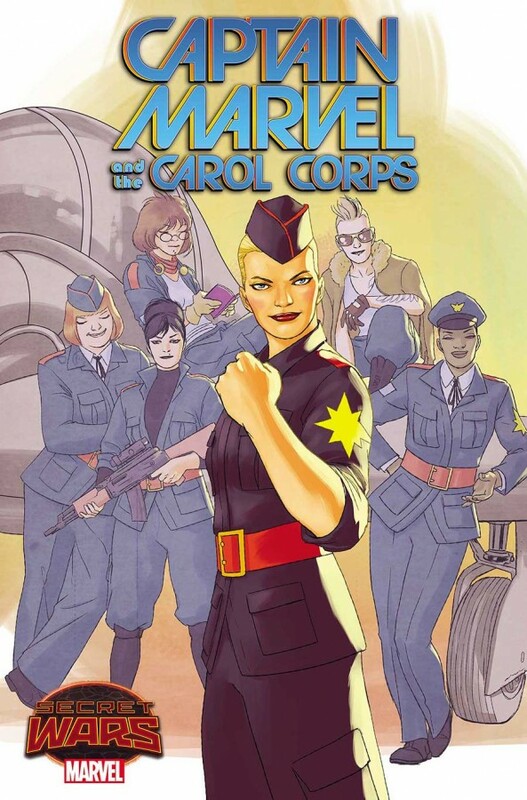 Strap in and hold on – this is CAPTAIN MARVEL AND THE CAROL CORPS #1! Previous ArticleLEGO Simpsons Kwik-E-Mart arrives in May!